I recently 'retired' a PC from my network. I added another PC to my network. I want to 'transfer' my Webroot protection to the new PC. 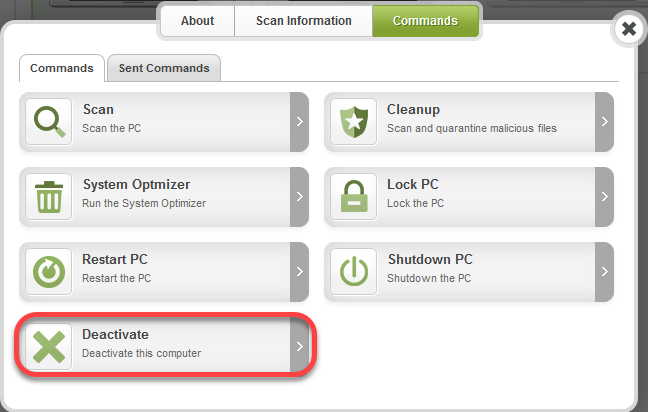 What must be done to delete one protected PC from Webroot protection and add a new PC for Webroot protection? Side note: The PC I retired shows up 6 times in my PC Security page. I've read the post about 'deactivating' a PC after running a couple scans to identify the 'valid' PC. Does this anomaly have to be factored into the procedure I asked about in first paragraph? This will require you to log into your Web Console. After installing Webroot, the new PC will appear after a little while in your web console. Hope this info helps. If you still need assistance please don't hesitate to ask.